After months of discussion with Taos Sports Alliance and Town of Taos, Rush Soccer has announced its new partner club Taos Rush will be training, playing games and hosting tournaments, camps and coaching clinics at Taos Eco Park, the FIFA 2 Star Certified Field in Taos, New Mexico. Rush Soccer is recognized internationally as the largest youth soccer club in the world with over 34,000 youth soccer players. Rush Soccer already has a presence in Albuquerque with NM Rush and according to the Licensing Services Agreement, can only operate one franchise per state unless the existing club grants permission to allow operations for another Rush Club. Working in conjunction with NM Rush’s President Greg Heileman and Technical Director Justin Sells, Rush Soccer granted a partner club status to Taos Rush to operate within its own territory in northern New Mexico. “The Taos soccer community hopes to contribute back to Rush Soccer as much as we believe we will receive through this affiliation,” said Justin Lea, President of Taos Rush. In only 10 months since its opening, the Eco Park has already played host to recreational and competitive youth clubs, NCAA Men’s and Women’s teams, as well as the Rwanda U17 National Team Training Camp prior to their Group Stage at the FIFA World Cup Finals in Mexico. The Eco Park is in the process of constructing a second field this year, along with a third and final field set to be constructed by 2013/2014. 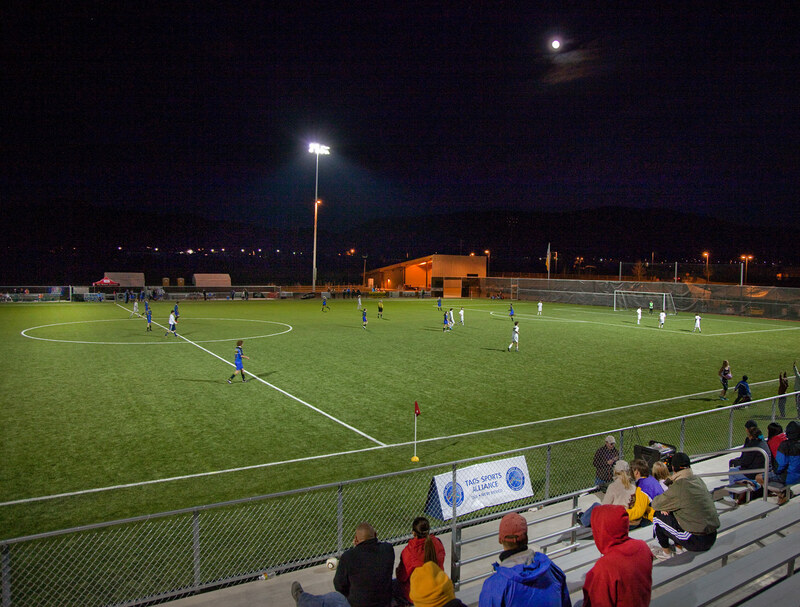 The Town of Taos, Taos Municipal Schools, Taos Sports Alliance, State of New Mexico and Shaw Sportexe, will celebrate the Eco Park’s first Anniversary with numerous Men’s and Women’s NCAA soccer matches, boys and girls youth club teams and celebratory activities on Saturday, April 14 and Saturday, April 21. Taos Eco Park is fully sustainable in irrigation and power supply, with a 75kw low voltage solar array that went online in February, 2012 which produces far more power to the electric grid than it will ever consume. 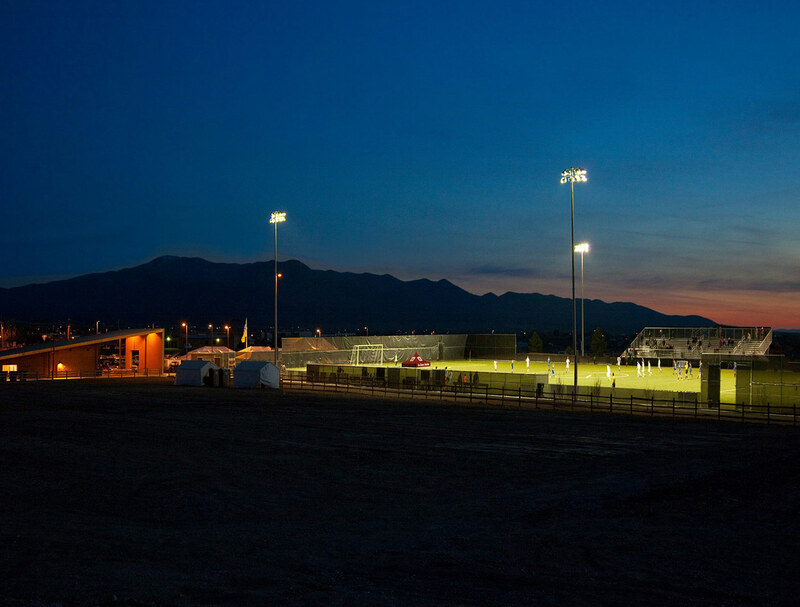 The park also offers: sports lighting system by Musco for evening play, a storage and restroom building, a one-third mile walking/jogging track, and bleachers with a 500 person capacity.